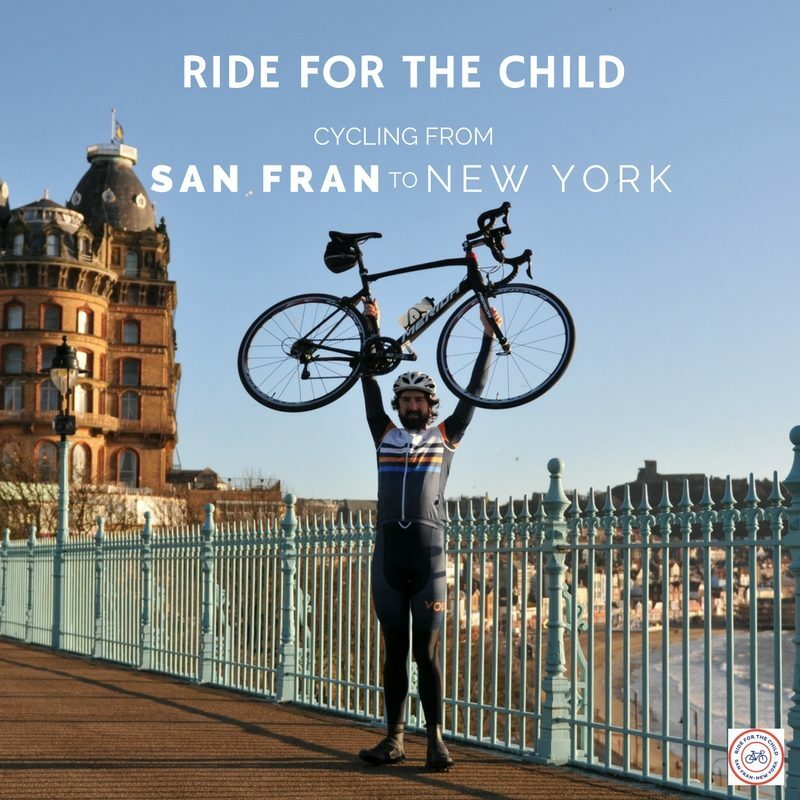 On the 1st of September Shane Prendergast will attempt to cycle 3200 miles across America over a period of 28 consecutive days to raise money for children with deafness or cancer in a challenge called ‘Ride For The Child’. 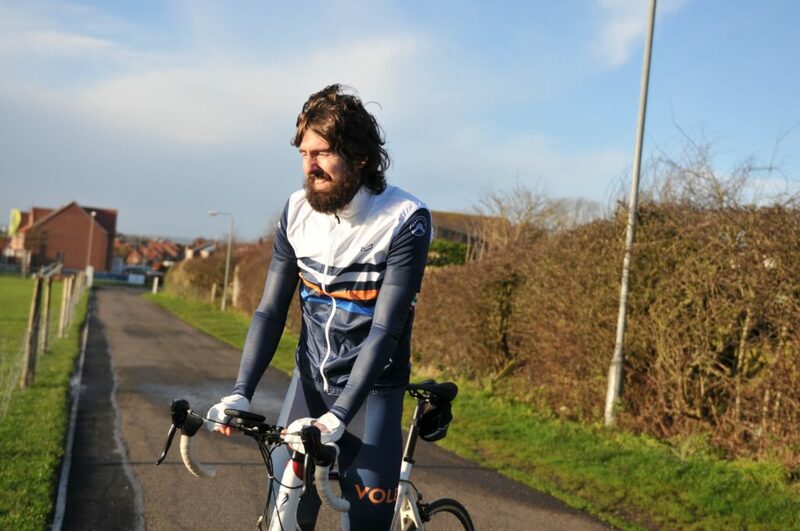 The ride itself will be made all the more difficult when you consider the fact Shane only started cycling in September 2015 and is deaf. Both the ride and the charities are very personal to Shane. 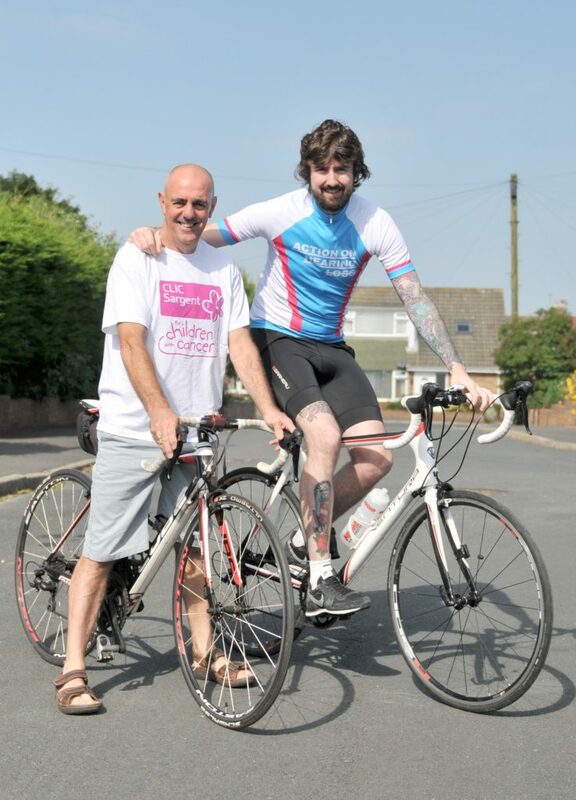 His father – being the hero he is – has raised over £50k for charity in the form of gruelling bike rides. His main rides include across America, Australia, Canada and around the coast of Britain. Shane explains that he is immensely proud of his father and would like to follow in his footsteps and give something back to those less fortunate. Almost twenty years later, he is attempting his father’s first foreign ride, which was across America and also named Ride For The Child. We got the chance to ask Shane a couple of questions about his upcoming challenge. Who are the charities you are raising money for? My charity choices are CLIC Sargent as my lovely mother has just recovered from breast cancer and Action on Hearing Loss as I have been deaf since I was a young boy. Being deaf has undoubtedly been the most challenging aspect of my life and while it doesn’t directly prevent you from cycling, it has taken some practice. In addition to raising a minimum of £10,000 and plenty of awareness for my chosen charities, I also hope to prove that disability is no barrier to life, and doesn’t prevent people from embracing their passions. Cycling from San Francisco is a huge challenge, especially for a new cyclist. How do you even begin to train your body for coping for this challenge? At the beginning of this process I found myself a trainer and we started working on my legs and core, two fundamental muscle groups used for cycling. That took longer than I thought and it is only now, after eleven months, that I am staring to really up my mileage without issues. I am now training 5/6 times a week and although I wouldn’t say I’m ready, I’m in the best condition of my life. In addition to the physical requirements I have also had to adapt off the road with things like food, sleep, stretching, massage and rest. Having had no endurance training at all before the ride, it has been a huge learning curve! What are some of the biggest obstacles that you have faced in your training? In addition to the physical obstacles, the mental ones are often tougher. It has only through this process I have understood the term “the body achieves what the mind believes”. I am surprised just how much my body can do, but I have had to force my mind to allow it! You mentioned that you have been deaf since a young age, can you tell us of some of the difficulties that your condition will lead to in your challenge? As my hearing aids are not waterproof, I ride without them as sweat or rain could damage them and at over £2,000 a piece it’s really not worth it, so I hear absolutely nothing while on the road. I’ve been deaf for a number of years so a silent world is something that I am used to, though it feels quite surreal taking out my hearing aids, like somebody pushed a mute button – there are people around me but absolutely no sound. Naturally, my observation skills have improved tenfold, particularly with lip reading and facial expressions, and I’m constantly aware of my surroundings. On the bike, observation is paramount, as without it, I’m much more exposed to an accident than a hearing person would be. The biggest obstacle to overcome is trying to maintain safe positioning on the road, as I don’t know when someone is behind me or about to pass. The shock of seeing a vehicle passing closely without hearing means it’s easy to start wobbling and potentially crash into an unsuspecting vehicle – another reason drivers should consider how much space they give cyclists on the road. I’m constantly looking around when I’m cycling, so much so that my neck and back often ache after a few hours in the saddle. I never take risks when I’m not 100% certain that it’s safe. A few times I’ve been on small country lanes, looked around and found three or four cars stuck behind me. I have no doubt they’d been blasting their horns because when I move over to let them pass, I often get the finger. Some people might think that deaf people cycling or driving is dangerous, but what I lack in hearing, I more than make up for in other ways. I question whether a hearing person cycling or driving with music is actually more dangerous as they usually will unconsciously rely on hearing. Deaf cycling is incredibly tranquil. It allows you to think clearly and having cycled both with and without sound, I definitely prefer the latter. Have you been training on your own or with a club? When I first started training, I went out with my local club. As much as I loved the feeling of being part of a group, the experience was quite frustrating. In a group, you usually ride in a line, taking turns at the front then dropping to the back to break the wind for each other. I was nervous about my turn as I wouldn’t be able to hear the leader barking instructions from behind. I’m pretty sure I missed a turn a few miles in and this prompted the leader to swap tactics, making those at the back accelerate to the front. I appreciated that he adjusted the ride, but at the same time it made me feel bad for the group having to adjust their social events to accommodate me. I didn’t go to another ride after that as I figured it was easier to train on my own, and I feel more comfortable that way. In addition, my training sessions are very much tailored to suit my challenge. Not many club rides last 8 hours or climb 1000’s of ft elevation. Your father has been a huge inspiration for this challenge, can you tell us why you wish to follow in his footsteps? As I was growing up, I watched my dad take on incredible charity cycling challenges – cycling across America, Australia and Canada. I didn’t really understand the magnitude of his achievements back then but as I’ve matured, it makes me immensely proud. I feel that I’m at a good stage in my life where I can follow in my fathers footsteps and help young children who find themselves in situations I have experienced – and struggled with – myself. What are you most & least excited about in this challenge? I am looking forward to the whole experience! I haven’t had a holiday in a year as I’ve had to use all my annual leave for the ride, combined that with the amount of training I’ve been doing and I need to get away! Although I wouldn’t really describe a 3200 mile bike ride as a holiday! I’m looking forward to cycling, nice weather, eating, drinking, being with friends in RV vehicle, climbing the Rockies, seeing America and its culture and much, much more! Least excited about the heat (contradictive as that was something I was looking forward to too) and elevation/altitude as these are two things that I can’t recreate in the UK, so have no experience of. What’s next for Shane after Ride For The Child? Good question, and one that I have thought a lot about myself. I have really missed my friends and alcohol so I think I will be having a few nights out! However after training so hard I really hope that I keep my fitness game up, it has given me a new lease of life and I feel a lot more alive! I doubt it will be my last fundraising activity and I have a few ideas for Ride For The Child but I just want to focus on conquering USA first! Your ride is three weeks away, how are you feeling? As my ride approaches I’m feeling a mixed of emotions, scared, apprehensive but also excited and on a constant high. Whatever happens I will try my absolute best to complete my challenges, both on and off the road. I won’t lose focus of the children I’m helping at the end.